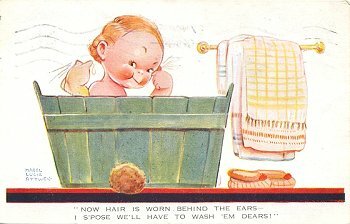 I S'pose we'll have to wash 'em Dears"! Just a card to wish you a very happy birthday and we hope you will have lots of presents. Love and kisses to you and Joyce, from Mrs Holt & Kathleen"